Players for Ecuador’s Barcelona Sporting Club run through drills during pre-season practice near their base in Guayaquil. Photo by Bear Guerra for the New York Times. 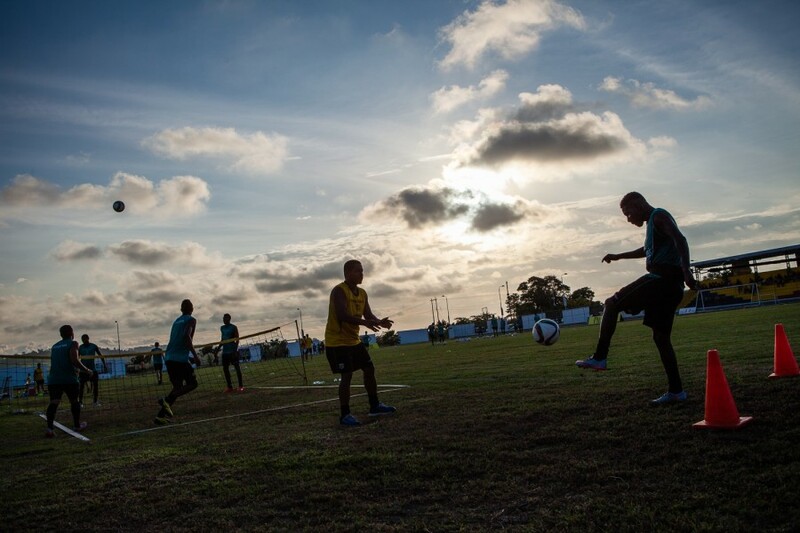 Our Bear Guerra recently spent two days with Ecuador’s most popular soccer team as part of an article and photo spread in today’s New York Times. There are 12 photos in all. Freelancer Noah Schumer wrote the story, which chronicles the team’s efforts to reverse its recent run of bad fortune. Check it out!